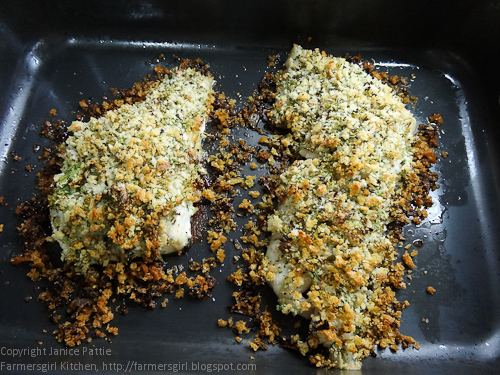 Farmersgirl Kitchen: Posh Hake in a Hurry! One of the things I love about fish is how quickly it cooks. 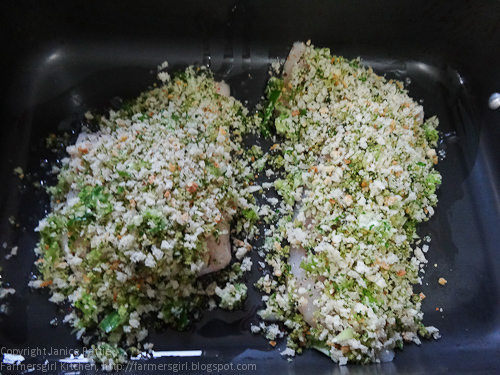 You need do very little to your fish fillets and have meal on the table in a very short time. As part of the Fish is the Dish, Healthy Happy Hearts I am eating two portions of fish a week to raise my levels of omega 3. I was looking for a quickie recipe for Hake, I searched on the Fish is the Dish recipes and found this super easy Hake in a Hurry recipe provided by my friend Karen from Lavender and Lovage. This recipe is very adaptable as, if you have enough time, you can add whatever you have to hand to the breadcrumbs. I added chopped parsley, black garlic and spring onions. I just blitzed them with the bread when making the breadcrumbs and it added a lovely herby flavour to the topping. 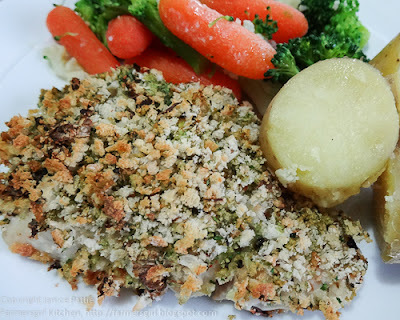 Karen covers both sides of her Hake but, as there was skin on the bottom of the Hake fillets, I simply placed the fish skin side down in an oiled roasting tin and topped with the breadcrumb mixture. Then all that is required is to pop it in the oven for 15- 20 minutes while you prep the vegetables or salad, sipping from a chilled glass of white wine or the aperitif of your choice! I made this last Friday when I came home from work and tweeted to Karen that I had made Hake in a Hurry and what I had added, it was she who decided that this was 'Posh' Hake in a Hurry! Loving the posh hake in a hurry. 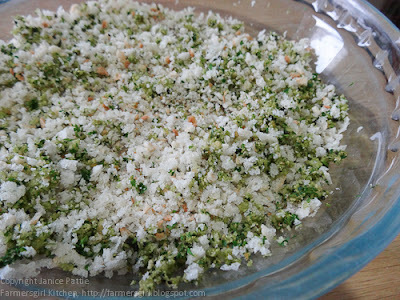 Love all those herby breadcrumbs too. Gorgeous. Good old Karen! Must remember to put my link up for my tuna burgers too! Delicious looking dish, you can always trust Karen.